Yesterday was Father's Day and I spent the morning having breakfast with my dad. When I was a kid, my dad would humor me and my active imagination on a daily basis. 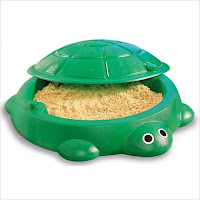 We had one of those giant green turtle sandboxes in my backyard that my sisters and I would play in every day. In our heads though, this was no ordinary giant turtle sandbox... it was a teleporter! Believe it or not, this was my dads idea. We would sit on top of the turtle and yell, "Take me to Egypt!" and the backyard would magically take us there. Our swing set became the Great Pyramid of Giza and our cat was the Sphinx! We would run around the yard and pretend to be pharaohs and queens and get involved in epic battles with tomb robbers. Then we would jump back on our turtle and go to another time and place. "Papa, why can't I fly?" The exchange continues between father and son with the father explaining that you need wings to fly and the son asking why he doesn't have wings. "Well, that's because you have ARMS! Well, why do I have arms, Papa? To hold up yout HANDS, of course!" This pattern continues throughout the book until the father raises the boy above his head so that he can "fly." Luthardt's bright illustrations filled with colorful birds are exactly how I think a child's imagination should be. The end brings it all home with the seemingly innocent new question of, "Papa, why can't I breathe under water?" 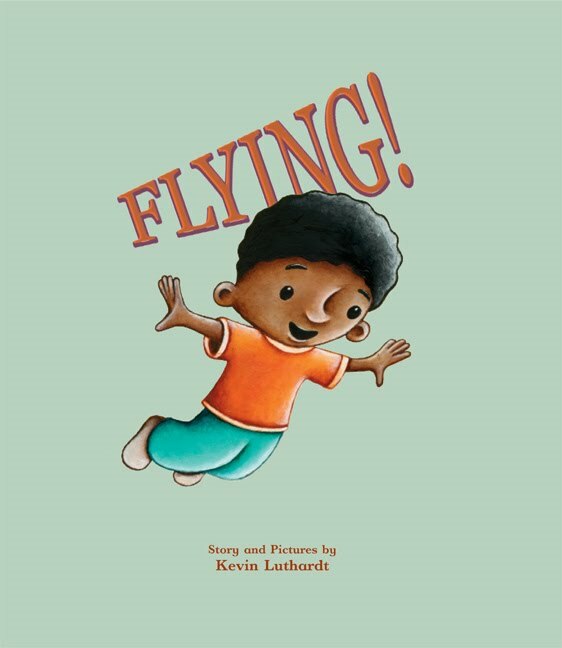 This book is wonderful to read with your kids, share with your dad and to spark some imaginative thinking. Thanks to my great dad and to Kevin Luthardt, who wrote a fabulous book that reminded me of how fun it is to be a kid.